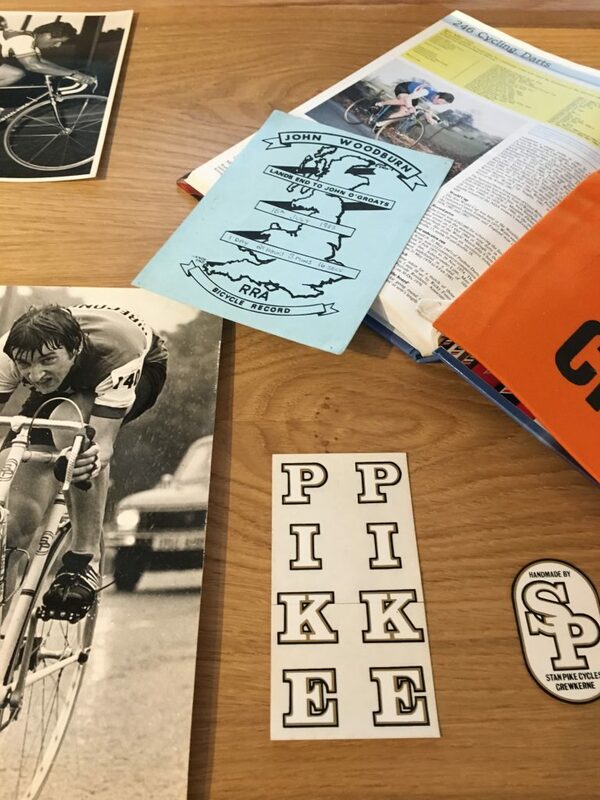 In the middle of June, I received an email from Dan Hopes, store manager of the Rapha Archive Store in Shepton Mallet. 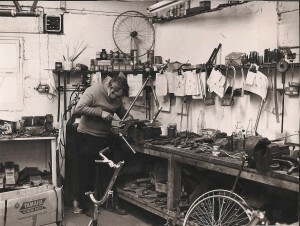 He was interested in a putting on a temporary display of Stan’s work in the shop. 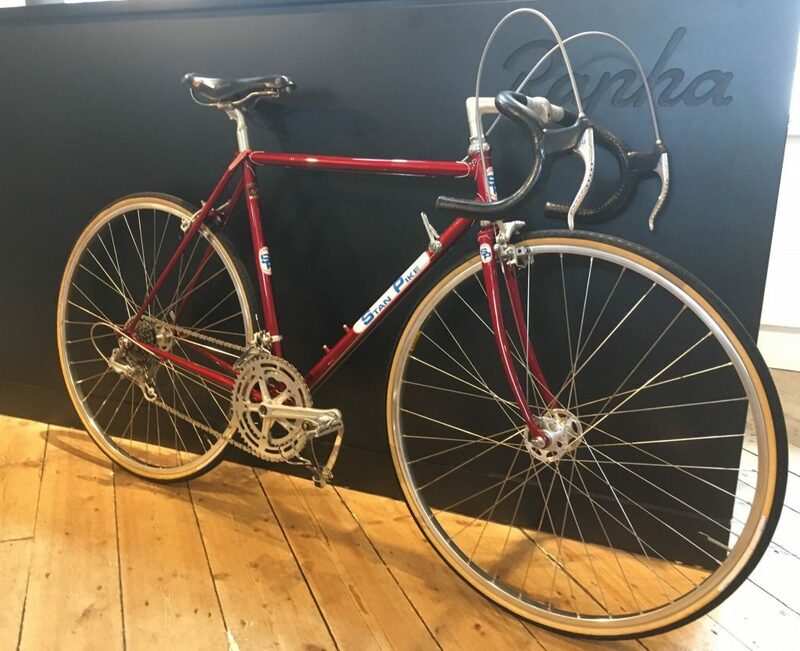 Stan worked in Crewkerne, so Dan was keen to showcase a local framebuilder*. 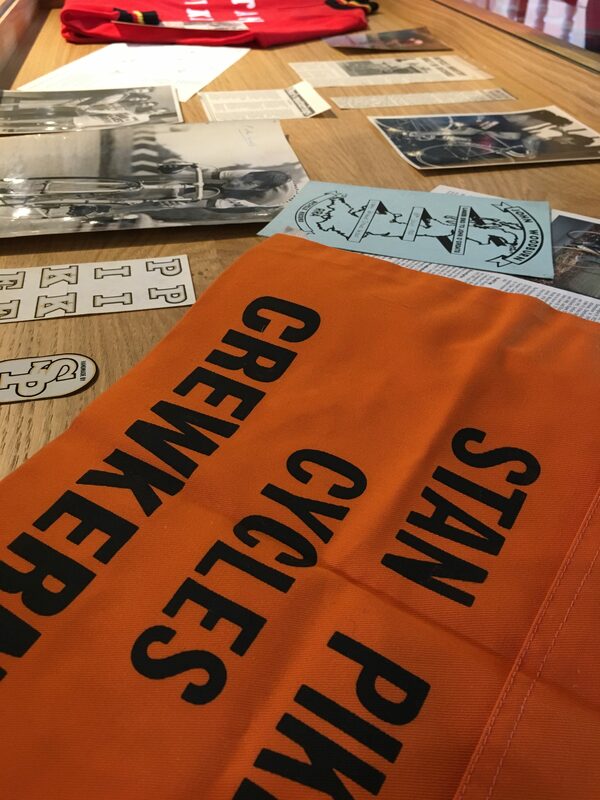 After a few of emails to Pike owners and with the help of Stan’s son, the display now running until mid-September. 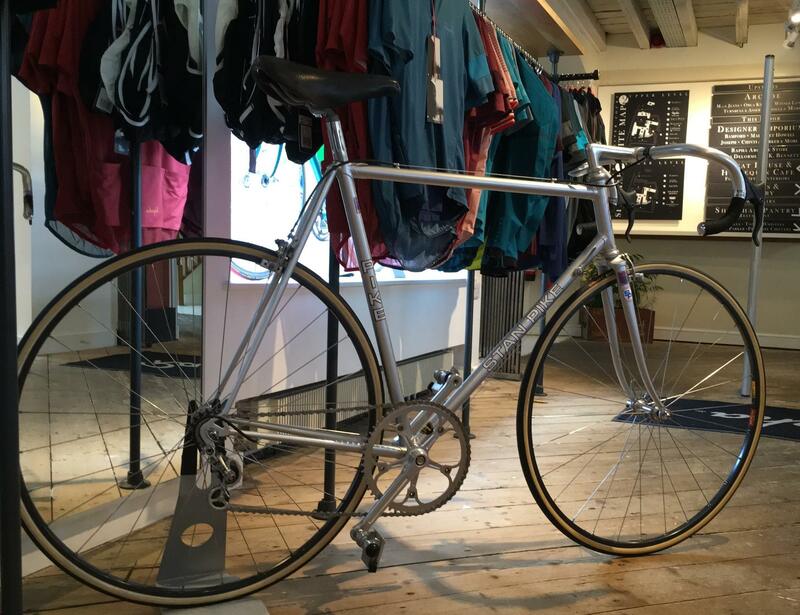 It’s well worth a visit, and you might be able to pick up a Rapha bargain at the same time. 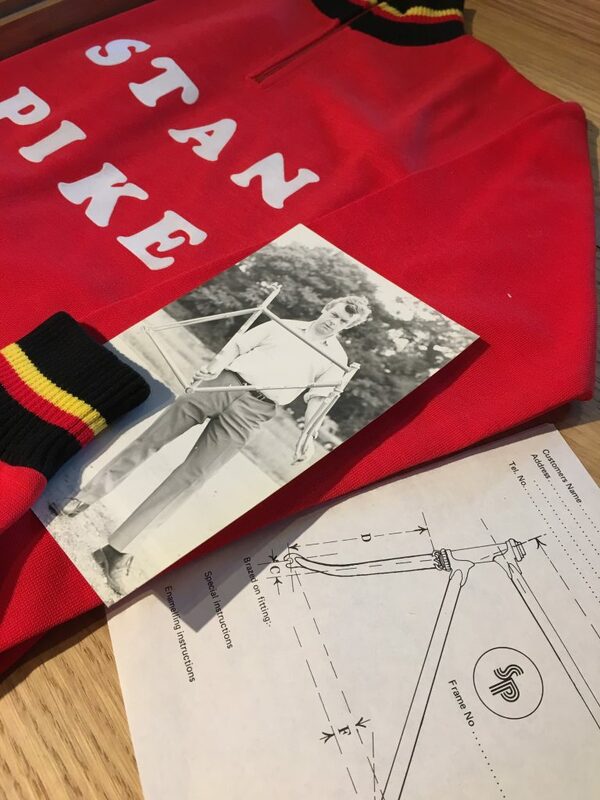 Huge thanks to Dan for the idea of the display, Chris for putting the finishing touches to Tim’s beautiful time trial bike (and to Tim for agreeing to loan his bike), and Steve for loaning his precious memorabilia. *Dan learned about Stan’s frames while riding with Jack Wood in Seoul. 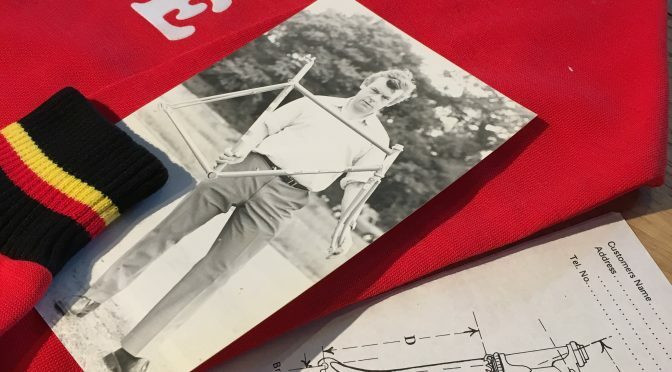 And Jack’s Stan Pike was the first bike ever to be featured on this website. It’s a small world.